During this tour we visit many sacred sites in South Africa along the Nilotic Meridian known in the ancient African Traditional Knowledge of UMLANDO as LULUNGWE MANGAKATSI – described by my friend and mentor Credo Mutwa as a subterranean river of gold – of knowledge – of stars and the inner earth’s equivalent of the Milky Way. This is a powerful energy line that stretches from the southern coast of Africa up to the pyramids of Giza along which many gold mines and ancient African sacred sites occur and the meridian on which the White Lions of Timbavati first appeared. Our journey takes us through the most beautiful scenery in South Africa and includes visits to Adams Calendar the most ancient archeo-astronomical site on earth, Modimole a sacred mountain in the Drakensburg Range, Timbavati – the place the star fell to earth, Blyde Canyon Vortex and ancient Ceremonial Altar, meditative walks in a beautiful Labyrinth and an evocative Wildlife Safari and much more. In-Spirit Journeys invite you to join us to experience these mysterious, powerful sites and wonderful wildlife on a transformational tour of South Africa. 2 nights at Garonga Safari Lodge with off-road safaris daily. Delicious food (we cater for all diets on our journey) and of course fun and laughter with like minded travellers. I am Stuart Gedrim founder of In-Spirit Journeys and, following a 5 year period under the mentorship of the renowned Zulu Sanusi & Shaman – Credo Mutwa, I have spent the last 18 years conducting spiritual tours throughout southern Africa. My primary intention is to share the passion I have for this glorious part of the world, with all its uniqueness, beauty and mystery. In sharing lessons learned, personal experiences arising out of my own research and the ancient knowledge gained from Credo Mutwa, my hope is that together, we might become more centered in our hearts and in tune with Spirit on a journey that will nourish our souls. When we can do this on our journeys, so often we experience pure magic! Together with my partner, Audrey Spronk, we have conducted sacred journeys and retreats throughout South Africa, Zimbabwe, England, Scotland, the Netherlands and Mallorca. I am a wildlife enthusiast and avid birder, deeply inspired by the animals and birds of this unique land and Kruger National Park for me is one of the most sacred areas in Africa. Time and again we experience magical moments when we connect through the heart and the animals and birds respond to our sincere honouring of there presence. I am Audrey Spronk, Stuart’s partner and fellow Tour Leader. I was born In South Africa, then spent some time in the Netherlands teaching intuitive development and giving clairvoyant readings, before following an inner calling to return to Cape Town in 1996. For me, Celebrating Life with others, in being conscious in the now moment and allowing all to unfold, is what brings the magic and ease. Experiencing consciousness, simplicity, authenticity and realizing the true nature of self is what inspires me towards this celebration of life on these remarkable journeys. It is never just the awesome places we visit, it is the quality of all our consciousness together that draws the experiences of magnificence to us in our journey together. Our hope is for visitors to take away a real sense of having felt and been touched by the wonderful, some say, feminine essence of Mother Africa, for the energy here is ecstatic – a dreamtime where spirit quickens – and where one can experience a heart connection with our indigenous peoples, animals, and most ancient sacred land. You will be met by Audrey and Stuart on arrival at Johannesburg International Airport and transferred to your nearby hotel where you can check in and rest after your journey. Your hotel has a swimming pool and garden should you wish to relax outdoors. This evening we will gather for a short Tour Orientation and to meet our fellow travellers before dinner in the hotel. Southern / Tsogo Sun Hotel is ideally placed to facilitate a short and restful transfer after your flight and is conveniently situated for our onward travel. We depart our hotel after breakfast and head eastward to Mpumalanga Province where we settle into the rustic Guesthouse of our friends Paul and Marianne who will ensure a gracious welcome to our group. There is a beautiful labyrinth nestled in the organic garden where you are welcome to relax and meditate after check-in. Tea and coffee is always available in the lounge area and the gardens are a bird watcher’s paradise. Marianne was the first chef to receive accreditation in vegan cooking in Mpumalanga and her food is just sublime – another tour highlight. Dinner and Overnight at Old Joe’s Kaia, Schoemanskloof. D/B&B. A sumptuous breakfast and then we set off for a unique experience – Adam’s Calendar, Michael Tellinger Museum and the Ancient Ruins. We will first visit the Museum to meet Michael Tellinger, author of Temples of the African gods, Adam’s Calendar and Slave Species of god who will share his profound knowledge of the mysteries surrounding this ancient sacred site. The museum has many pictures and artifacts supporting the findings of the research carried out by Michael Tellinger and Johan Heine, the original discoverer of the Adam’s Calendar site and Michael will discuss in detail their significance. Next we will visit one of the ancient ruins that form part of a mysterious civilization that created a vast network of structures throughout Southern Africa and known as the ‘Temples of the gods’. These ruins which have puzzled scholars for years, an estimated 20,000 ancient structures spread over 4000 kilometres from South Africa to Kenya and beyond, constitute the largest continuous stone settlement ever built on Earth. Intricate Reiki symbols and Phi (Fibonacci sequence of 1.618) ratios make up the structure of some ruins which contain stones of black reef shale that, when struck together, make a ringing sound and are believed to have been used to generate energy for use by the ancient people. You will have time to explore the site and resonate with the energies there. Finally we visit Adam’s Calendar – the oldest archeo-astronomical site on earth and believed to be the original birthplace of humanity. You will also meet Enos who is the caretaker and local guardian of the site who has been extensively trained by Michael Tellinger to guide visitors around this amazing site. He is also a qualified Bird Guide for the area too and monitors the rare blue swallow nesting sites in the region. At Adam’s Calendar you will be shown astrological alignments, Stone Monolthiths brought to the site from elsewhere, Monoliths showing carving and engravings and various shaped Stones. Dated approximately 75,000 years old, this stone calendar predates all other man-made structures found to date. During our 2 day visit to this area you will learn the significance of its siting above ‘Lulungwa Mangakatsi’ Africa’s legendary underground river – the spinal fluid of earth – and its association with gold. Dinner and overnight at Old Joe’s Kaia. D/B&B. We check out after a leisurely breakfast at our Lodge and set off for a 3 day wildlife adventure in South Africa’s largest and most famous Game Reserve – the Kruger National Park. One of the world’s 14 major nature reserves, bigger than Israel and about the size of Wales, the pristine Kruger National Park ranks among the best as a conservation model and contains an unequalled diversity of wild animals, bird and plant life. It is a sanctuary where one can escape the pressures of today’s life-styles and commune with unspoilt nature. Over 380 kilometres long and an average of 60 kilometres wide, the Kruger National Park covers 19485 square km (7523 sq. miles) and shares a border with Mozambique and Zimbabwe. The creed of Kruger is that its internal world should survive untouched, where nature determines and where people are second to wildlife. When you enter this animal kingdom it should be with humility, gratitude and wonder at the magnificence that we are able to share in. It is truly one of the most sacred places in Africa, a place where you can become one with nature and sink into the African Dreamtime. Kruger has a fascinating history and many legendary sagas to be shared during our visit – tales of Wolhuter and the lion, of a daring rescue from a crocodile, of death in the river, of Mdluli – a Park legend and many others. Our accommodation is in one of the National Park Camps. The rustic chalets have a bedrooms and bathroom, kitchen and a small patio area so are comfortable without being ostentatious – as one would expect in a National Wildlife Reserve. Morning and sunset Game Drives are arranged in open vehicles accompanied by an expert Ranger who will take great delight in sharing his knowledge of the fauna and flora of Kruger Park. Overnight at Kruger National Park. D/B&B. Departing after breakfast we drive northward through the Park to exit at Orpen Gate and drive to our lodge where we will spend 3 nights in the dramatically beautiful Blyde River Canyon. Our 4 star accommodation overlooks the sacred mountain known as Modimole – meaning God is here in the local Shangaan language, and is set in an exotic botanical reserve with huge 500 year old Tamboti trees standing sentinel over the lodge. The Blyde River (river of joy) runs through the reserve and free roaming zebras, kudu, wildebeest and baboon are to be seen there. Owner Vicky, Manager Portia and her staff always provide a warm welcome and after check-in you can relax at the pool or wander around the property to enjoy this peaceful and tranquil setting. Dinner on the patio is the norm as we enjoy the warm weather and consists of a 3 course meal delightfully prepared by chefs Jabu and Shirley who are also skilled in vegan and vegetarian cooking. Overnight at Blyde River Canyon Lodge. D/L/B&B. A restful day is planned for today to enjoy some downtime at your lodge. This afternoon we will take a boat ride on the Blyde River Canyon Dam, home to hippo’s and crocodiles, to experience the Energy Vortex, the Tufa Waterfalls and some breath taking scenery of the Drakensberg mountain range towering above. An optional gathering for some group sharing and meditation before dinner. Today we set off on a panoramic drive via Abel Erasmus Pass up onto the top of the Drakensberg Escarpment to visit an ancient Rock Altar sacred site where you will learn more of the mysteries of southern Africa. We will spend time at the 3 Rondawels site enjoying the stunning views and some meditative time at the Potholes where the River of Sorrow and the River of Joy converge. We depart after breakfast and drive to Garonga Safari Camp situated in the Makalali Conservancy Game Reserve which is considered to be one of the leading pioneers in ecotourism in South Africa and is home to over one thousand wild animals including Africa’s “Big Five”. Accommodation at Garonga is in luxury Tented Suites, each with an en-suite bathroom plus an outdoor shower, overlooking a dry riverbed lined with huge Jackalberry trees. Relax in a hammock and contemplate lazily grazing antelope and brightly coloured birds from your deck. Garonga Lodge is featured as of of the Classic Safari Camps of Africa and a place synonymous with peace and tranquility. Dining is very casual and relaxed, but where the accent is on a fusion of flavours, from the popular South African ‘braai’ (barbeque) to the traditional potjiekos. Under the guidance of our dear friend Audrey Delsink-Kettles, Makalali pioneered the groundbreaking work of elephant immuno-contraception now being more widely used at other Game Reserves in Africa as an alternative to Elephant Culling (selectively killing). 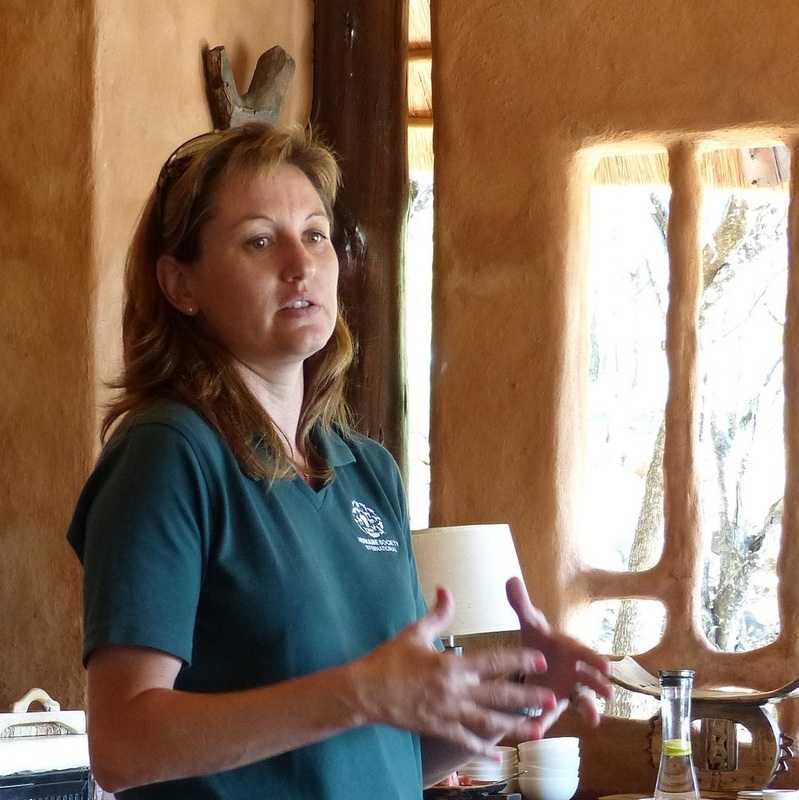 We are fortunate to have the unique experience of having Audrey Delsink-Kettles join us for our time at Garonga to share her vast and intimate knowledge of the Makalali elephant herds and to learn more about her amazing work. In addition to Audrey we also have experienced Garonga guides and trackers for open air game drives or guided bush walks to introduce you to a whole new world of bush lore and animal habits. We will have morning and evening Game Drives and optional group sharing and meditations during the day. Overnight at Garonga Safari Lodge. D/L/B&B. Years of experience has shown us that we need to allow ample downtime in order to rest and integrate after a tour of this nature – where early morning game drives and visits to sacred sites with strong energy result in many impressions. The final stage of this unique journey will be to Summerfields Lodge & Spa, a delightful and restful end to the tour where you can indulge yourself with various massage treatments and prepare yourself physically for the journey home. En route we will visit Bourkes Luck Potholes, so named as a result of a gold strike by a miner called Bourke. This is a sacred place of water energy and the convergence of the Treur River (River of Sorrow) and the Blyde River (River of Joy). Like dreamtime flutes these huge potholes have been scoured out of the rock and carry the energy deep into the earth to connect with the great subterranean river – Lulungwa Mangakatsi. Summerfields Rose Retreat & Spa is set in a 100 acre macadamia, granadilla and litchi farm. Owner Ilse also grows cut roses and organic vegetables which are served in the Summerfields Kitchen Restaurant and the River Cafe every day. Roses are a constant theme at Summerfields – to be found in your room, in public areas, the Spa and even in your food. It is five-star hospitality in a country environment and their slogan ‘barefoot luxury’ means that you can kick off your shoes, and your worries, and relax in the glorious African bush. Summerfields is augmented by the Rose Spa, which offers a wide range of beauty and relaxation treatments, and the River Café, where professionally trained chef Natia and her talented team create wonderful meals made from food grown organically on the farm. There is also a lovely meditation space alongside the river where we will gather for group sharing and meditation. Summerfields is the perfect place to end this magical journey together indulging in luxury to allow time to integrate the many impressions from this unique tour before the trip home. Overnight at Summerfields Lodge & Spa . B&B. We check out after breakfast and transfer to Nelspruit Airport for the short flight to Johannesburg to connect with your International Flight home. Additional accommodation can be arranged should anyone wish to extend their stay in Johannesburg or visit Cape Town after the journey. Any items of a personal nature such as laundry, telephone etc. To book space on the tour a deposit of 30% of the Tour Price is required at time of reservation. The Balance is due 60 days prior to arrival. Payment to be made via Telegraphic Transfer. Credit Card payments can be made via Paypal but these will be subject to a 5% admin fee. – Less than 90 days and 59 days prior to commencement of the tour – Cancellations will attract a penalty equal to 30% of the tour price. – Should the guest fail to arrive for the tour for whatever reason, including airline delays and missed connections the relevant cancellation policy will apply. Guests are strongly recommended to take out adequate travel insurance to cover Cancellation, Travel, Medical Insurance Curtailment and Default, Baggage and Flight insurance for the duration of their trip. A Maximum of 14 and a minimum of 8 participants will be accommodated for this tour to ensure group cohesion, comfort and enjoyment. Should the minimum number of participants fall below 8 we will re-cost the tour and advise the revised tour cost accordingly. In the event that participants do not choose to pay the revised costs we will cancel the tour and refund payments received in full. Personal items, such as jackets, cameras, purses or daypacks are the sole responsibility of the owner. Due to the remote areas in which we operate, it is vital that all guests are covered for emergencies and other unforeseen circumstances. We cannot be held responsible for any guest traveling without insurance. 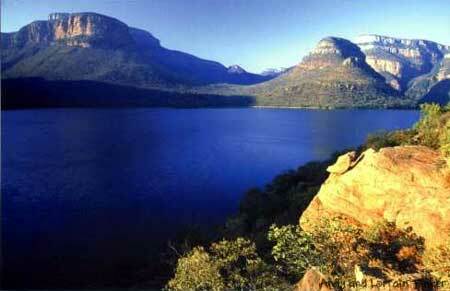 We strongly recommend tour participants take out personal travel insurance. The onus is upon the person traveling to ensure that their personal documentation is in order, including: a valid passport with at least 3 blank pages and visa´s if applicable. The price quoted is subject to change in the event of any unforeseen increases in fuel costs including currency fluctuations (relevant to aircraft or transfer services) and/or Government levies/taxes.